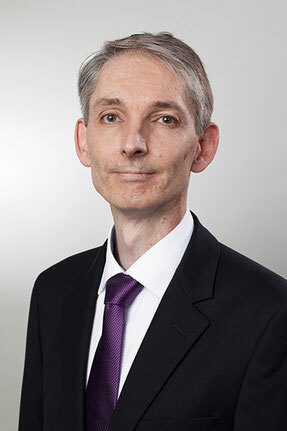 Christoph Volpers studied biology at the University of Mainz and received an MBA from Bradford University in the U.K. He completed his doctorate in molecular biology in 1995. After holding various research positions in academia and industry, including several years with Roche in the U.S., Dr. Volpers spent more than 12 years working in patent and licensing management in the biopharmaceutical industry. For the last six years, he was director of IP Biologics at the Teva ratiopharm group with global responsibility for managing and coordinating all patent and licensing activities in the areas of biosimilars and innovative biopharmaceutical products. In this role, he headed up an international IP team located in Germany, Israel and Australia that was in charge of managing an extensive portfolio of patents, FTO activities, project evaluations and IP support for all ongoing development projects. Christoph Volpers has worked at the law firm of Michalski Hüttermann & Partner in the field of life sciences since early 2015. He is a German patent attorney and a European trademark and design attorney. Dr. Volpers has co-authored a large number of academic publications in the fields of molecular virology, gene therapy, antibody development and signal transduction. He is a member of the Licensing Executive Society (LES) and speaks German and English.